South Korea's premier hotel The Shilla Seoul was selected in the Top 50 hotels in Asia in Travel + Leisure's 11th annual World's Best Awards survey. The readers of Travel + Leisure named the greatest hotels in the world and The Shilla was the only hotel to be honored in the Top 50 from Korea. 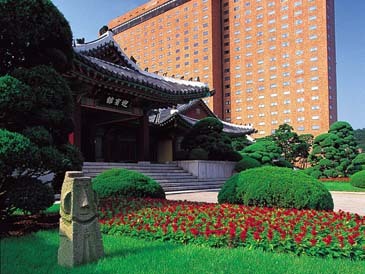 The Shilla Seoul achieved an overall score of 83.43 points, placing 48 out of 50 hotels in the entire Asian region. The Four Seasons Resort Bali at Sayan, with 96.11 points, placed 1st for second consecutive year followed by Oberoi Udaivilas(India), The Peninsula(Bangkok) and the Four Seasons Resort Bali at Jimbaran Bay respectively. In this year's ranking, hotels in Asia composed almost a quarter of Top 100 overall. This recognition proves the global fame of Asian hotels including The Shilla. According to Travel + Leisure, unlike the previous years where the poll was focused on US and European region, they've expanded the selection to top 50 hotels in Asia this year distinguishing the rapid progress made by hotels in Asia. Celebrating its 11th year, this survey is conducted annually by Travel + Leisure, in association with Harris Interactive, the global leader in online market research, to list up the world's best hotels, cities, islands, spas, hotel spas, tour operators/safari outfitters, cruise lines, airlines and car rental companies through readers of Travel + Leisure, who value great travel experiences and leading the global travel trend. In 2005, Travel + Leisure also included The Shilla Seoul in Its '500 World's Best' awards – as 'Best Hotel' in South Korea, where it was also the only hotel to achieve the ranking. The Shilla Seoul consistently receives high marks from respected publications on a regular basis, including Conde Nast Traveler, Zagat Survey, Euromoney and other business and travel related media.